If you’re an Independent Software Vendor (ISV) you know how difficult it can be for your customers to realise the full value of your software. Releasing your solutions with Juju, the award-winning application modelling tool from Canonical, can help your customers use your product at every stage, from proof of concept and development, through to full scale deployment. Juju lets you model, integrate and scale applications quickly and easily. 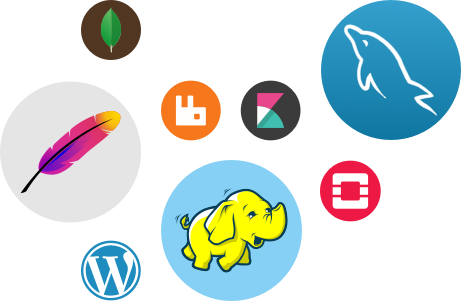 By creating a Juju charm for your product, you make it easy for administrator and devops teams to integrate it with hundreds of other solutions. Charms are sets of scripts that simplify the deployment and management tasks of specific services. They can be written in any language and leverage configuration management tools. Once a Charm has been created by your developers, anyone can use it to unleash the full power of your software. The Juju Charm Store has over 300 applications ready to use today. They can even be combined in Bundles. If your application is commonly deployed with other services (as most are) a customer can use a Charm Bundle to deploy all the services together, wherever they need to run.